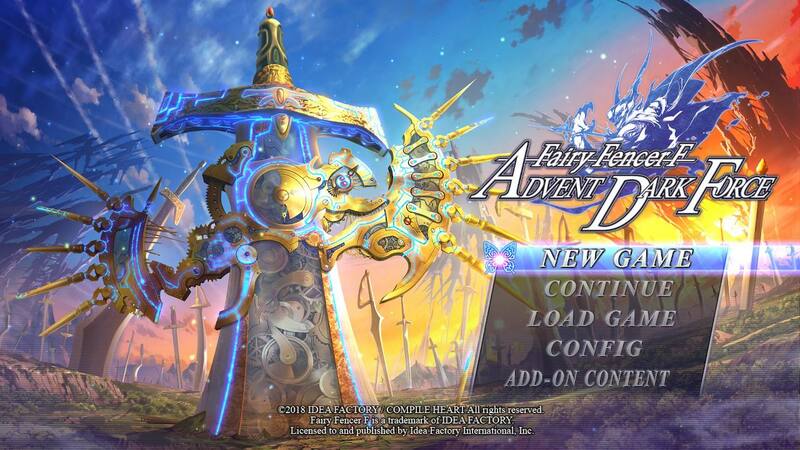 This will be my third time reviewing Fairy Fencer F: Advent Dark Force, which is both a good and a bad thing. It’s good because I certainly know what I’m looking for when playing the game. But it’s bad because I also have direct experience with other ports that, as you will see, are better versions of the game. That being said, there is a lower limit any review could be for a game that has such a great foundation and has provided me with hundreds of hours of entertainment. And that is the takeaway that I would like to express for this review; technical difficulties aside, this is still a fantastic game at its root. Guess who’s back? The laziest of all JRPG heroes. 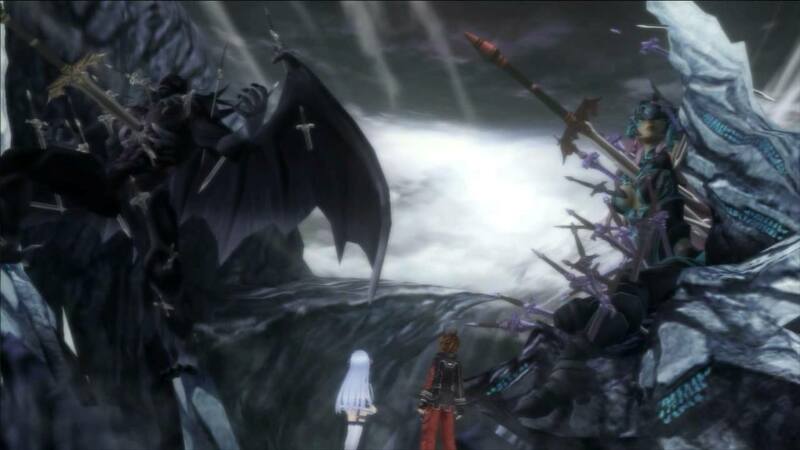 For those who have not played either the original Fairy Fencer F or Advent Dark Force for the PS4 or Steam, I will do a brief synopsis. However, if you want a much more detailed overview of the mechanics and story to know whether you would like to purchase the game for the first time, I would highly recommend my original review here. 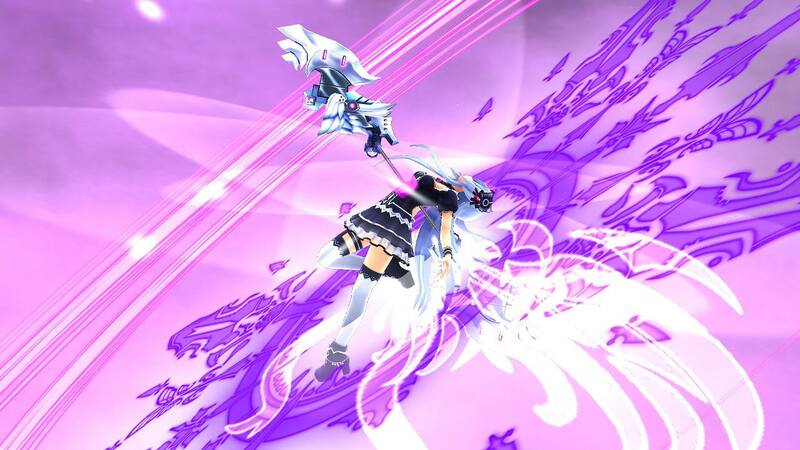 Fairy Fencer F was released for the PlayStation 3 and eventually ported to the PC. It had some fans, myself included, but it was met with fairly middling reviews due to its brevity and a rather perfunctory story. But there were still some good fight mechanics and the characters had a lot of personality that we would have liked to see mined further. 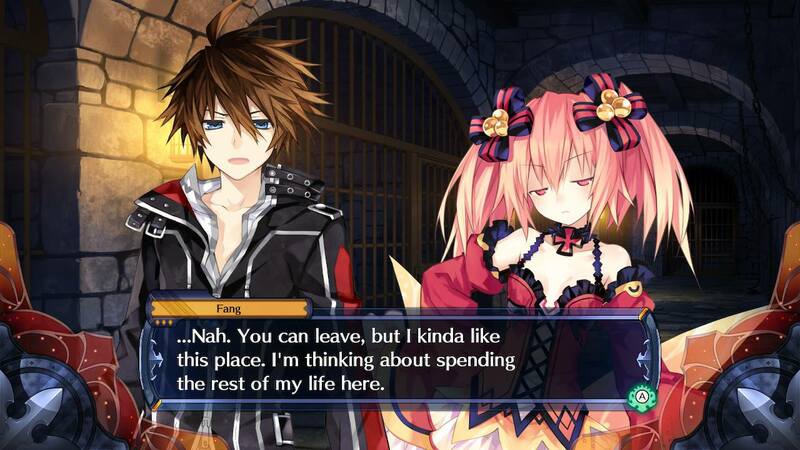 Thankfully those criticisms were taken on board with a new version of the game, Fairy Fencer F: Advent Dark Force, which was released for the PlayStation 4 and then also ported to PC. This new version of the game had three distinct storylines, improvements to combat, more party members, and a lot more exploration of the characters (especially in the new True Goddess Route). Fairies imbue your weapon with power, and you can combine weapons and Fencers for even more. The construct of the game with visual novel style story scenes and third-person dungeon roving will remind you a lot of other Compile Heart/Idea Factory games, but this one still has enough to differentiate it. Each party member has a specific primary Fairy that imbues all of their weapons. They can also equip a supplemental Fairy card that will modify their overall stats and also give them unique abilities, or resistance to damage types, etc. 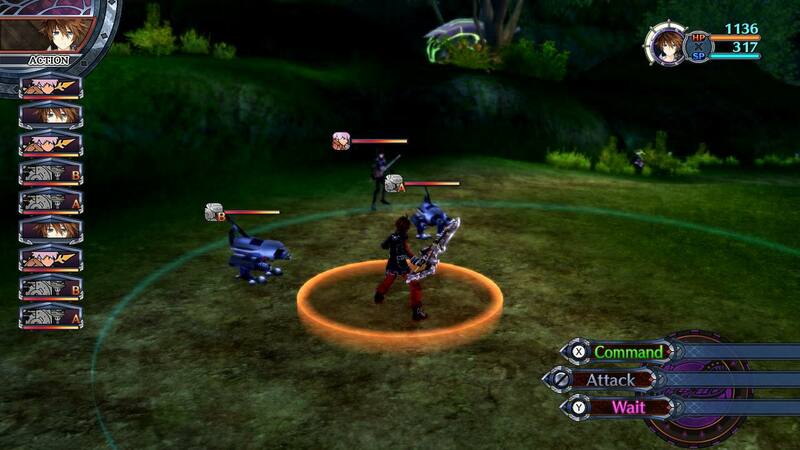 The original release limited combat to three party members, but ADF increased the party members to six. It can get a little hectic, but the battle arena is large enough to accommodate that many party members, and battle was also tuned for the larger parties. The Goddess vs Vile God story was decent in the initial arc, but it gets better with the addition of the Vile God path and a whole lot better with the True Goddess path. Even though I’ve spent around 400 hours playing this game, the characters still remained fun and the story interesting. The DLC included is a nice touch, but can be very overpowered. 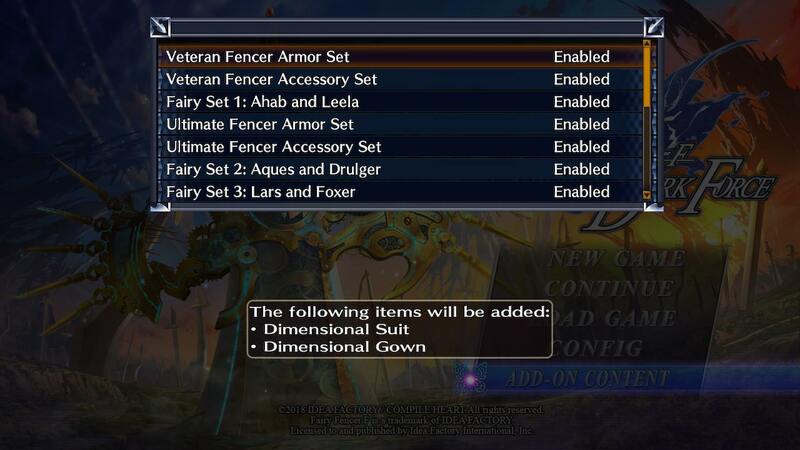 Like with the PC version of the game, there is a slew of DLC that the game comes with for no additional cost. For your first time through I would recommend playing without the DLC items, or if you download them, only use them in an emergency. That is because the Ultimate and Veteran Fencer sets are extremely powerful, likewise with the S Rank Fairy cards that are added to the game. There is nothing wrong with just blowing through the game with them, but it’s better to struggle a bit your first time through, in my opinion. The difficulty is still adjustable at any time out of combat and the only thing it changes is the XP/gold you get as well as the item drop table for the monsters. It won’t affect the story in any way. That being said, for those who have already been through the game and want to get right into the end game and the other routes, the DLC items are perfect for that. Within combat and dungeons the graphics are noticeably downgraded. From here it is mostly bad news when comparing the Switch port to the other versions of the game. The visual novel style scenes are still quite crisp, even if they were slightly downgraded to 720p, unlike the PC and PS4 versions. But where you really notice some graphical issues are in the dungeons, and especially the old original Fairy Fencer F dungeons. The graphics can appear quite fuzzy and muddy, whether you are playing on a TV screen or portable. 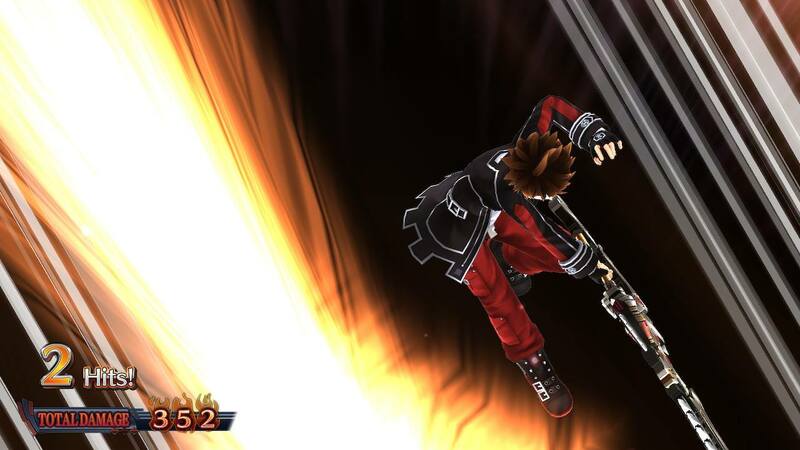 Also a few of the in-game engine cutscenes looked decidedly last generation as well. In addition to the graphics downgrade, the sound and music seemed a bit muffled at times, which is understandable given the much lower quality sound chip in the Switch as compared to the PS4 or PC. The voice work is still really good, though, and it comes out a lot more clearly than the music does. Footage of what Fang did to his Switch after losing progress. The other major issue with the port is crashes. There were a few crashes on PS4 and PC, but nothing like I experienced on the Switch. They have patched the game significantly since its original release, but it is still a constant problem. I was never able to play for more than two hours straight without a complete crash of the game. The frequency makes me wonder if there isn’t a memory leak somewhere in the game, where it just can’t keep up after a certain period of time. But either way, it can be quite frustrating to lose an entire dungeon of progress due to a crash. There is usually only one or two save points per dungeon—it is not a save anywhere type game—so that makes the issue even more noticeable. Even though it is better than it was in its first month, I would still like to see another patch or two giving even more stability. The graphics are not ideal, but the story and characters more than make up for the shortcomings. That is a lot of negative all at once, so you may be surprised that my overall review score is not lower. If you treat this almost like playing a retro game, it’s a lot easier to overlook some of the issues like graphics and sound. The only real issue is the crashing. But even beyond all those issues, the characters are truly memorable and the story is quite good. Also the Nintendo Switch is not exactly a haven for JRPGs as of yet. Really, other than Xenoblade Chronicles 2 and possibly Octopath Traveler, you are not going to find better JRPGs on the system. So would I still recommend this game for on-the-go playing or if you haven’t played it yet? Certainly, especially for $39.99 and the potential more than 100 hours of playtime getting through all three endings. But you still need to realize that this is definitely not the best version of the game; the best version is on the PC followed closely by the PlayStation 4.